Only practices accredited under the Practice Standards Scheme (PSS) may use PSS logos when advertising their practices. You must also ensure that if you use any of the PSS logos to advertise your practice, that they reflect the corresponding accreditations of each practice or branch. For example, where a practice group has a main premises accredited to Veterinary Hospital status and a branch accredited to Core Standards, the logo for Veterinary Hospital accreditation must only be used to advertise the hospital and not the branch. 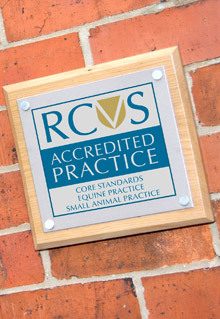 The titles ‘Hospital’ and ‘Veterinary Hospital’ on their own, or as part of any practice signage or practice advertising, may only be used by practices accredited as a Veterinary Hospital within the Practice Standards Scheme. No amendment, alteration or addition may be made to the logos as supplied to PSS members when used in promotional or other documents or materials generated by the practice or on its behalf. You may be asked to cease any promotion considered to be inconsistent with the Scheme. For further information please read the Practice Standards Rules in the 'Related documents' box.